This lehenga style saree will give completely new look to your Navratri celebrations. The material of the dress is cotton, net and velvet. This forms a royal combination when matched with bold shades like red and orange. The adornments of embroidery, jari and motifs enhance the beauty of this dress. Anarkali Salwar suits will be a nice option to wear this navratri and dandiya season. A gorgeous Navratri special chaniya or ghagra choli, with dazzling adornments looks wonderful at any given time. This design is perfect representation of the modern day women. The colors are stylish, bold and elegant. The exceptional bright color patterns make this design, one of the best in its niche. The specialty of Kimi Singh Couture is to play with floral and print designs. The mixing of chaniya choli with floral prints is done in a magnificent manner. This designer wear is barring from any kind of mirror work and traditional embroidery. This one is for the experimentalists. The designs by Heli Kusumgar are perfect amalgamation of ethnicity and modernity. She is a stalwart in creating designer navratri special lehenga cholis.This time the collection has also included palazzos with regular ghagra and cholis. You can create a distinctive style statement with the help of Dhoti pants. Although the navratri season is the time to completely show your Indian colors, but that doesn’t mean that you can’t experiment a little bit. Dhoti Pants will create a unique style statement for you which can’t be matched by anyone else. You can also go for Indo western fusion wear during the festival. Opt out for fusion of designer salwar kameez with the western evening gown. It will definitely look fabulous on you. Wear this rich red and maroon salwar suit on the occasion of dandiya raas and become the centre of everybodys’ attraction. The rose and peacock embroidery at the edges, increase the grace of this outfit by heaps and bounds. It is one of the best designer lehenga choli for navratri. This is the salwar kameez with a twist. The bottom length of the salwar is elongated to form a trail. The overall look of this salwar suit is fabulous and traditionally appealing in essence. Be the synonym of elegance and grace with this Ombre grey suit. This will compliment your personality to utmost. You will look like a queen on the dandiya night oozing chutzpah. 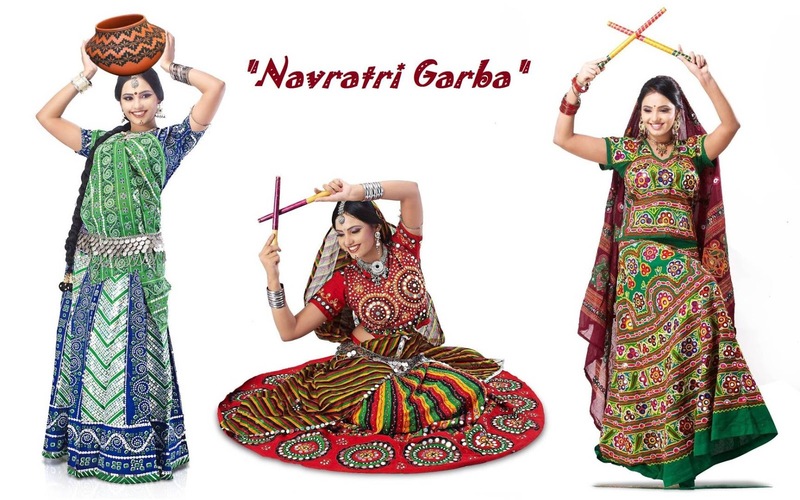 Select any of the above Navratri special chaniya choli styles according to your personal taste. We assure that you will look lovely and gonna rock the dandiya season of 2016.
wow what a blog the patterns and designs are perfectly describe, amazing lehenga choli for this navratri festive occasion, i would like to follow your blog and keep posting such informative information would love to read it. Designer Lehenga Choli best price here. Very well written article. It was awesome article to read. Complete rich content and fully informative.for information regarding Designer dresses on rent please visit to the link.